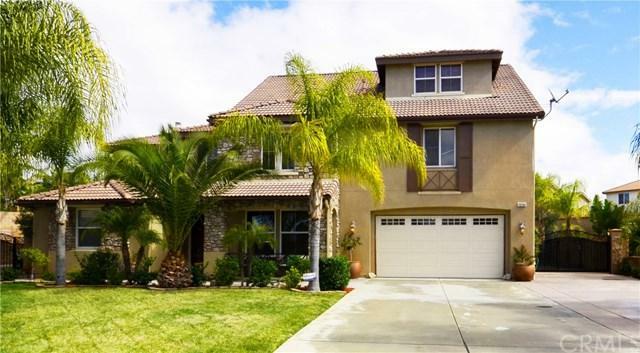 Welcome to this Beautiful Orangecrest Home with 4,479 sq. ft of Living Space, 5 Bedrooms, 4.5 Baths and a Huge 4 Car Garage. As you walk in from the Covered Front Porch and through the double-door entry you will love it. Enter home to a High Ceiling Entry with Beautiful Chandalier & Ceiling Medallion of Michael Angelo design (owner spent $5,000) and 20" Porcelain Italian Tile. Downstairs features a Formal Living/Sitting Room, Formal Dining Room & downstairs Bedroom with Beautfiul Wood Floors and Private B Welcome to this Beautiful Orangecrest Home with 4,479 sq. 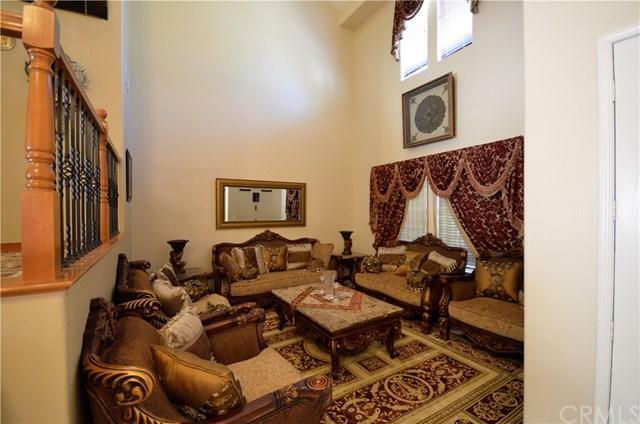 ft of Living Space, 5 Bedrooms, 4.5 Baths and a Huge 4 Car Garage. As you walk in from the Covered Front Porch and through the double-door entry you will love it. 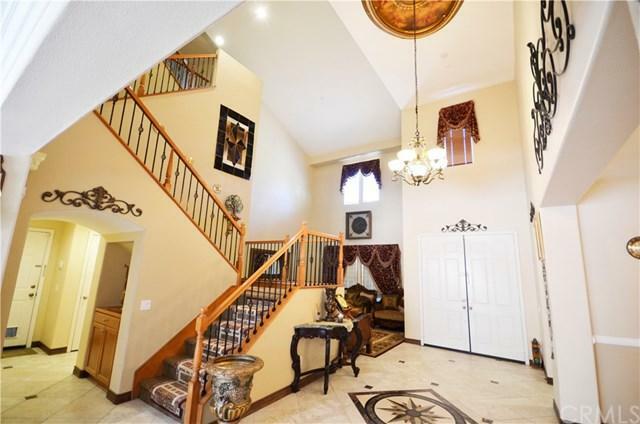 Enter home to a High Ceiling Entry with Beautiful Chandalier & Ceiling Medallion of Michael Angelo design (owner spent $5,000) and 20" Porcelain Italian Tile. Downstairs features a Formal Living/Sitting Room, Formal Dining Room & downstairs Bedroom with Beautfiul Wood Floors and Private Bathroom. Kitchen is a Chef's Dream with Huge Granite Center Island and All Granite Counter Tops & High End Stainless Steel Appliances. Kitchen Opens to A Huge Family Room with Fireplace so you are Never Separated for those Family Gatherings and Every Occasion. Going Upstairs is Beautiful Upgraded Wood and Wrought Iron Staircase Railings that go to the 2nd & 3rd Floors With Beautiful High End Carpets. On The 2nd Floor is your Lovely Master Bedroom Suite, Connecting Retreat and Exquisite Master bath with Travertine Tile and Jacuzzi Tub. 3 More Bedrooms, 2 more bathrooms and Laundry Room complete the 2nd Floor Features. Going up to the 3rd Floor You Will Find a Huge Open Loft that Can Be Used as a Game Room, or Anything You Like. The Fabulous Back Yard With Over $50,000 invested Has Tons of Hardscape & Landscape, including BBQ Island with Lights, Sitting Areas , Fruit Trees, Fire-pit, Lots of Lighting and Lamp Posts in Back Yard to Entertain or Enjoy Day or Night. Listing provided courtesy of Keller Williams Riverside Cent. Listing information © 2019 San Diego MLS, Inc.